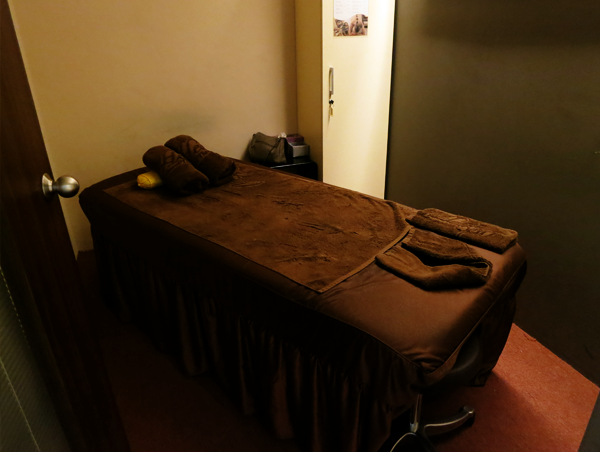 Thanks to Haren and Street Directory, I got my first massage session at Heal Spa last Saturday! After attending Spinning classes for close to a month, a massage was sorely needed for my back (Spinning classes are in no way 'damaging'. It's just that I haven't got good posture, on and off the bike. Slouching is so much easier, damnit!). I decided to give M a treat as well. :D It's always fun to do things as a couple! Heh. 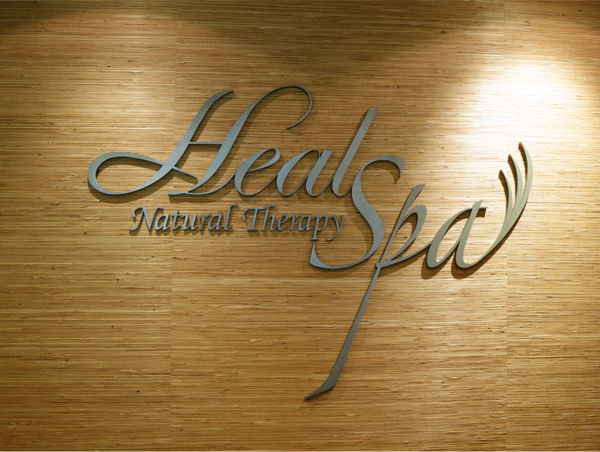 Located near Tanjong Pagar MRT, Heal Spa provides natural therapy that takes on the traditional Chinese medicine approach. It is a place for the busy to relax and sweat out all the toxins for some solid rejuvenation. Heal Spa also practices the 'Prevention is better than cure.' axiom where treatments help regulate the physique to improve system recuperation. When we first arrived, we were each given a form where we had to fill in our personal particulars; addresses, telephone numbers, physical ailments etc. 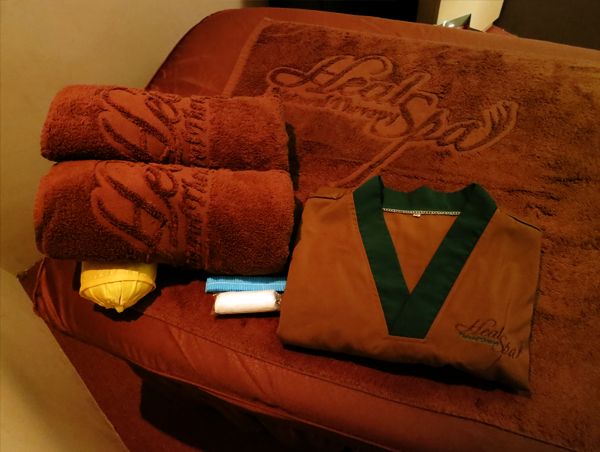 Thereafter, we were led into the room and had a little chat with our consultant on our body conditions and the different types of massages that Heal Spa provided. Swedish Massage: This is the most common massage technique used in salons. It is a touch therapy that helps to relax and eradicate toxins in the body. The massage oil used in Heal Spa is Jojoba Oil. Traditional Chinese Medicine Massage: A more rigorous form of Swedish Massage. Aromatherapy: This is similar to the Swedish Massage but uses essential oils instead. Shiatsu Massage: A Japanese massage technique that focuses on pressure points. This is perfect for tense muscles and doesn't involve the application of oils. Meridian Therapy: Designed more for females, this helps to alleviate premenstrual woes. Lymphatic Therapy: This helps to reduce cellulite and water swelling. It is more of a treatment than a massage and requires more than a single session. 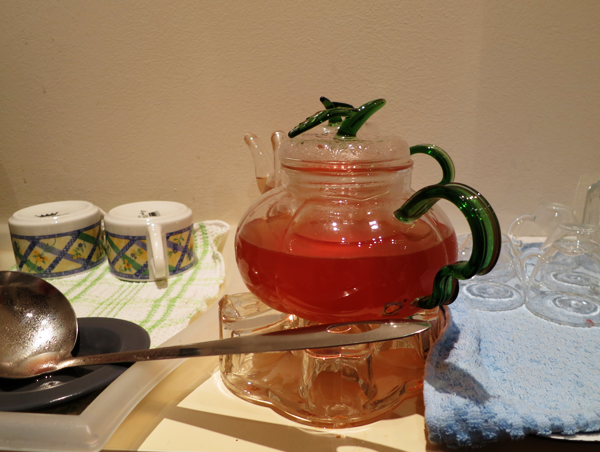 The above's Longan Red Date Tea, which is personally brewed by the staff from Heal Spa. It was a sweet prelude to the massage sessions that awaited us! Anyway, I opted for the Shiatsu Massage and M went for the Traditional Chinese Medicine Massage! Which was a tad funny because Shiatsu is supposedly more painful than the gentle TCM one. Haha. I think some 'pain' is good because it relieves more muscle tension but M is way too ticklish for anything! Here's my cozy massage room! The bed took up most of the room but there was still a perimeter around it where I could walk around comfortably (to take photos). A locker was also available for me to place my clothes and bags and because it came with a proper lock, I kept my valuables in it too. I had the option of keeping the key by my side or placing it in a small box placed at the end of the bed. I was provided a set of clothes to change into since my massage didn't require the application of oils. It was pretty cool that Heal Spa actually had sizes for them because I mean, usually such places don't bother and just hand you a 'free' size. A shower cap and paper undergarments were also provided, just in case you needed them. Unfortunately for me, that Saturday was pretty booked so I couldn't get a more fitting set of clothes. But it didn't matter much anyway because it wasn't like I was drowning in it and it was actually very soft and comfy! For the next hour, I was treated to the most relaxing time of my life. I used to think massages were pretty unnecessary but mannn, I think I'm gonna make a habit out of it (Maybe like once very month. That's pretty okay, right?!?). My therapist, May, started the session by 'pushing' my body diagonally outwards. This helped to loosen my muscles and prep my body for the massage. She worked meticulously on my shoulders, back, thighs, hands and temples (Pretty sure I missed out some body parts. Haha. I was just enjoying every moment of it because it was so SO good!). I didn't fall asleep but instead had a really nice conversation with May! She shared that all therapists in Heal Spa were certified and had to undergo training with the lady boss, who's a trained therapist from China. 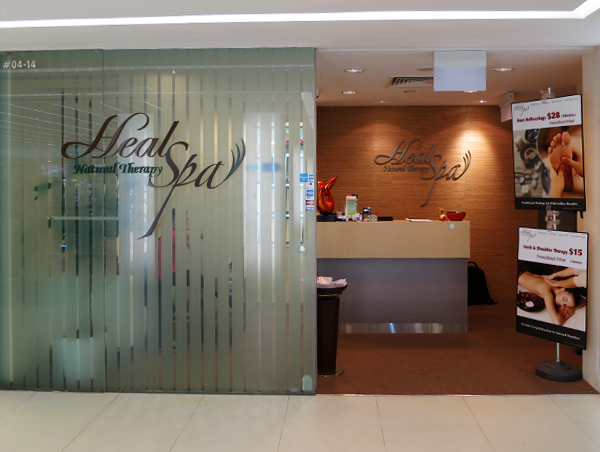 And even though Heal Spa was opened recently, the place is packed during lunch hour weekdays so do make an appointment in advance! Heal Spa also has two male therapists for those who prefer a more rigorous massage session. And they usually work on the Shiatsu Massage. I also asked about the application of oils. For Shiatsu Massage, no oils are used because the massage technique involves the pressing of pressure points and oils will reduce the friction between the fingers and skin, rendering the massage ineffective. Sneaked into M's room before my massage started and he was like semi-asleep. He raised his head high enough to make a nod of acknowledgement and promptly went back to his lala land. Hahaha! Anyway, when I came out of my session, boy! Was he rejuvenated! He was all wide-eyed, telling me that it was superbly relaxing! Haha. His therapist was Wendy. M's lower back is a tad swollen so Wendy took extra care in that area. She also taught him some stretches that would help his back. 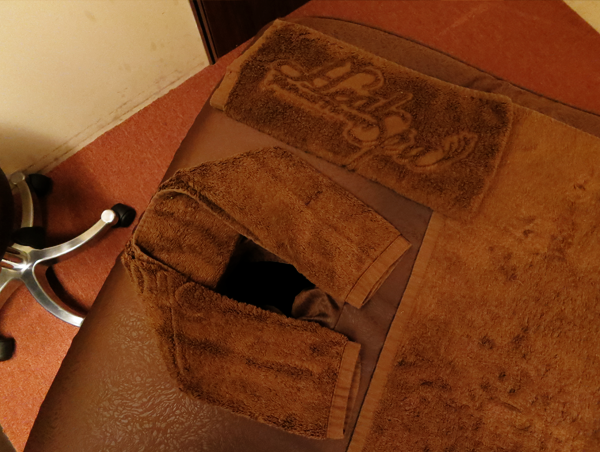 (: At the end of his session, a warm herbal pad was placed in the middle of his back to aid blood circulation and speed up his body's healing process. That Saturday was perhaps our most relaxing date ever. The place is really accessible and service was great! 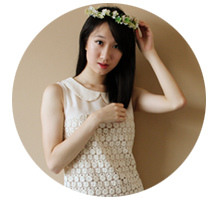 Our consultant was very knowledgeable and patient. She made sure we understood the different massage types, asked us what we wanted and then, gave us her opinions. Our therapists, May and Wendy, were also fab! They were both very meticulous and we could tell that they took pride in their work. (: The place was clean, which was very important for us, the clean-freak couple (The therapists' nails were short and clean!). Prices are also pretty alright. (: I paid $48 for M's massage (Lasted a full hour!) and this is the price for first-timers. Subsequent sessions cost $58 each.